I recently had a shocking surprise from AudioCodes, right after i upgrade the Firmware of a production Mediant 800 SBC that use for Direct Routing With Teams. I was asked to upgrade the firmware to the latest available (V 7.20A.250.003) to fix a media related issue and ended up having outbound PSTN calling completely broken. At that time, i didn’t know what exactly happened and i used the SYSLOG Server to capture an outbound calls to see what’s really going on. In the log file, it shows 500 Internal Server error and “User Agent Not Licensed”. I have seen couple of Mediant VE deployments losing the license before upon restart. I though it could be the same here. But, the license was intact and exactly the same as before. I ended up opening a support ticket with urgent priority. It end up having to apply a license key to enable Direct Routing with Teams on SBC. Such a requirement was never there and no one knew such a license exist. It happens to be that AudioCodes have implemented this license requirement and it was not communicated widely in to the public. In above snapshot, i have underlined the new license addition for Teams. 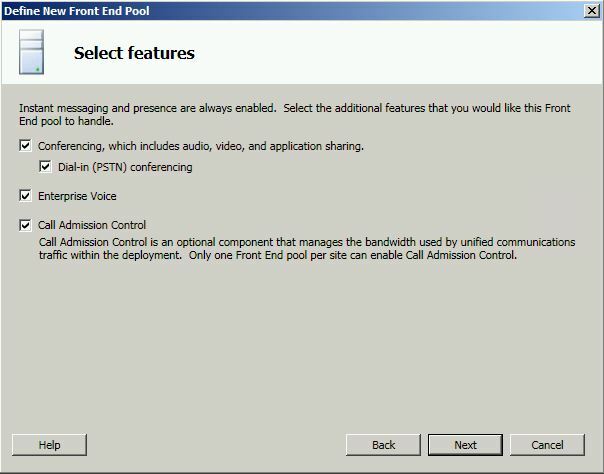 After applying this update, Lync phone edition device can be signed in to a user who haven’t enabled fro Enterprise Voice. 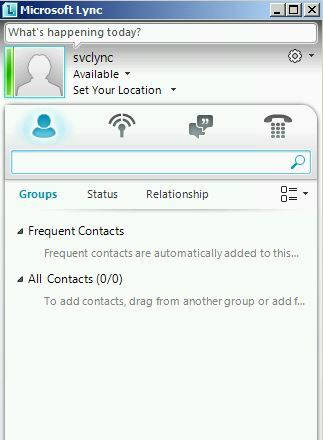 And getting one step closer to the PBX world by seeing the “Phone Lock” feature to not to allow dial outs while it’s locked. The emergency calls however will be able to dial out as long as it’s configured in location Policy. 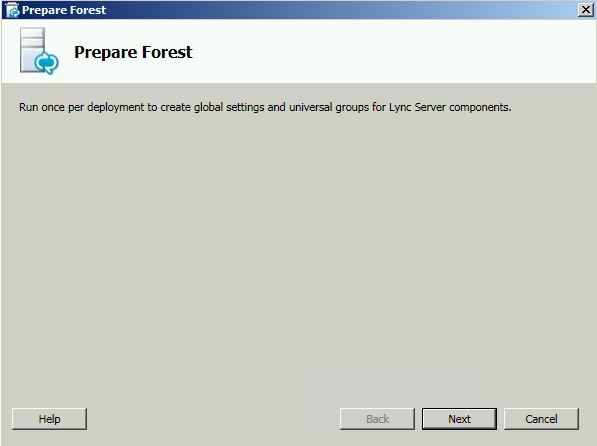 Deploying Lync Server in Multi Forrest\Domain require a FIM (Forefront Identity Manager) to replicate the Object SID from user domain to resource domain. 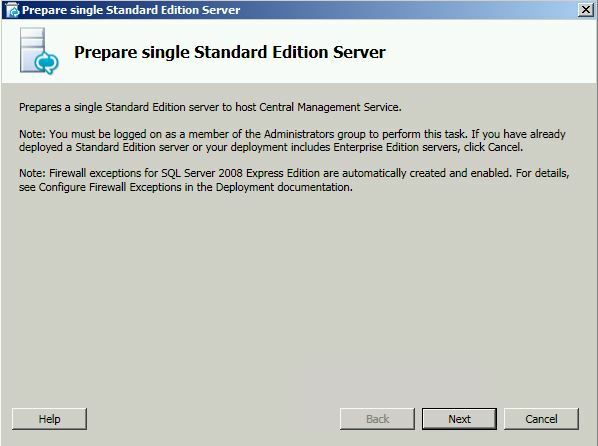 FIM requires license for a SQL Instance additional WIndows Server and FIM it self. 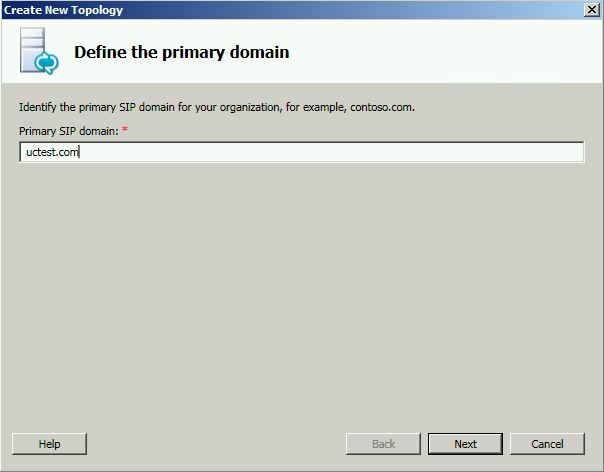 This article describes how to create users in resource domain by copying the attributes from customer domain. 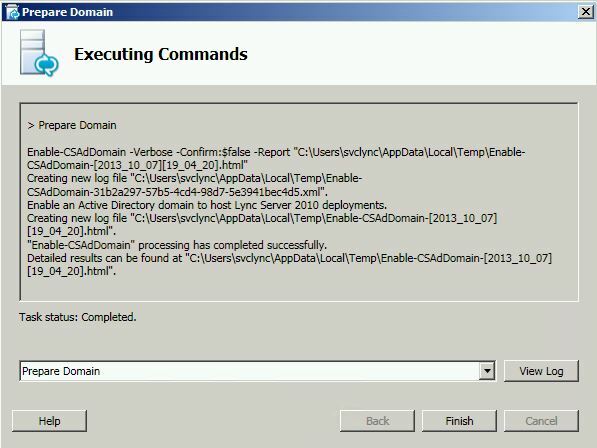 Also enable the users in Lync and configure Enterprise Voice by getting the Line URI from a .csv file. 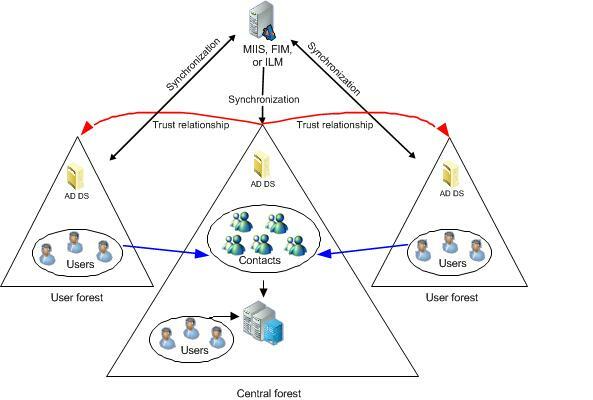 Before getting to users creation, a Trust relationship (Oneway Forests Trust) need to be configured between two domain which will require to get the attributes from customer domain. I’m not going to cover the Trust relationship configuration in this article. 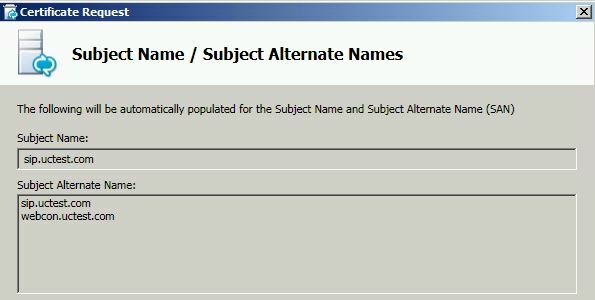 below are the users configured in customer domain. 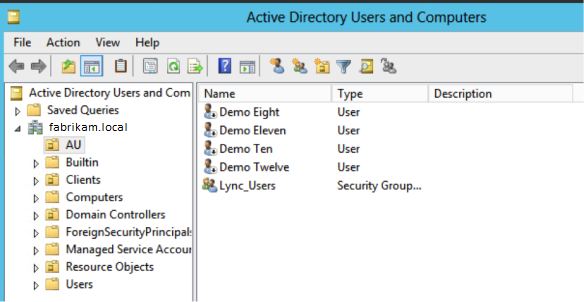 notice the “Lync _Users” group. only the users which are added in to this group will get created. Users will be created in the below configured OU as disabled users. 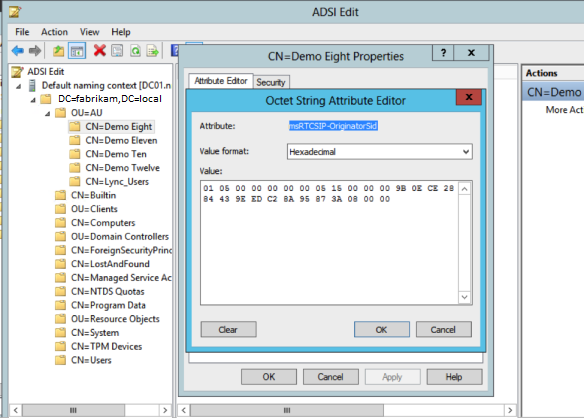 notice the msRTCSIP-originatorsid value of “Demo Eight” user. now it’s time to test a user to verify that all works fine. Client signed in successfully with the end user credentials. 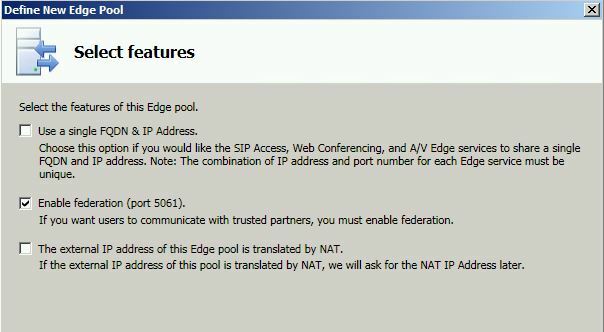 Lync Server Edge Server’s role is to provide access to the users who are connecting via the internet. 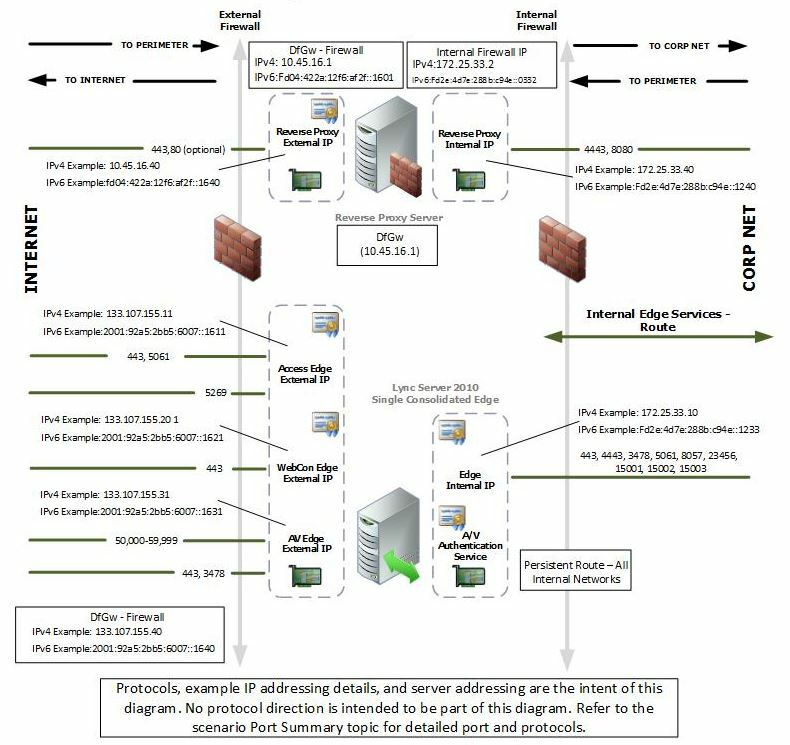 Edge server usually deployed in DMZ (perimeter zone) of the network with dual NIC and having one leg (NIC) in external network while the other one in internal network. 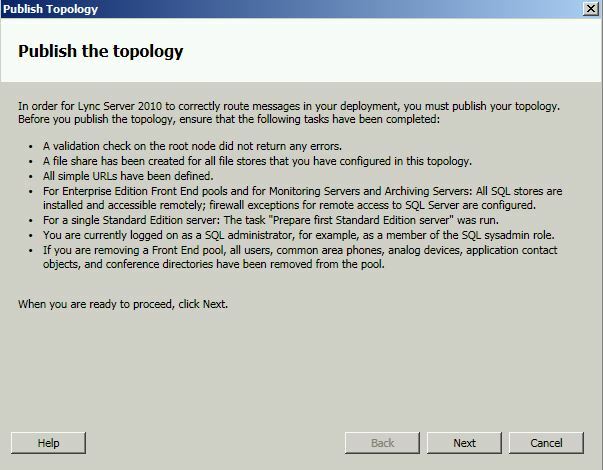 below is a typical topology set up for an Edge Server. 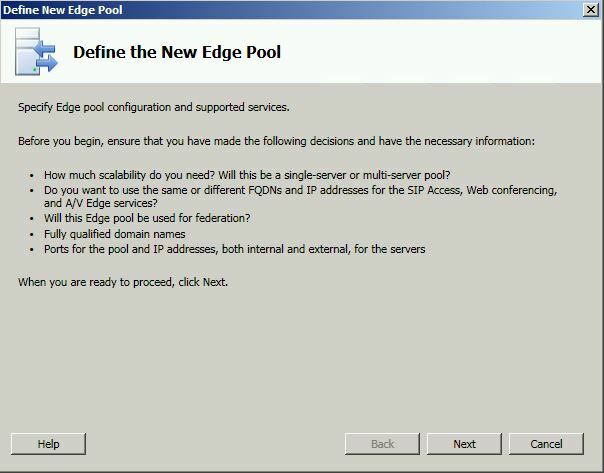 Internal interface for the Edge Server uses a certificate from Private CA while the External interface of the Edge Server use public Certificates. There are 3 services that run in Edge server which requires a Public Certificate. this will be coved later in the deployment process. let’s divide this guide in to two segments. 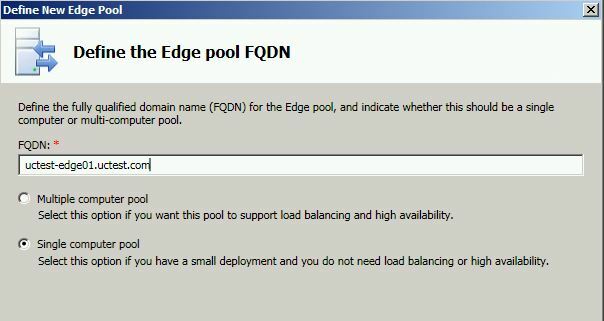 unlike the Front End server, Edge server doesn’t have much in internal infrastructure. 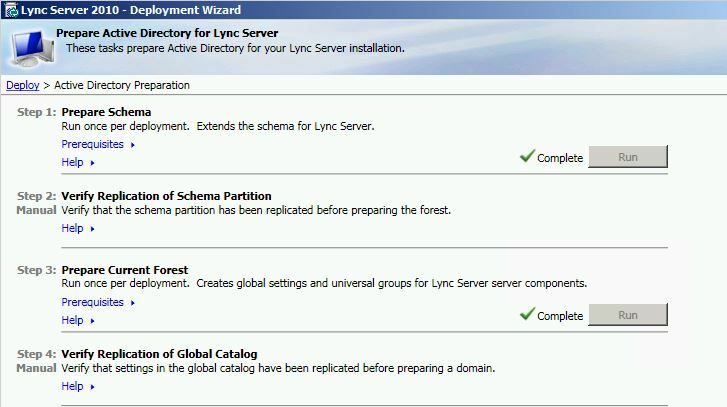 there are several SRV records and A records that need to be created in the public domain for clients to discover the Lync Server and for the federation with partners. 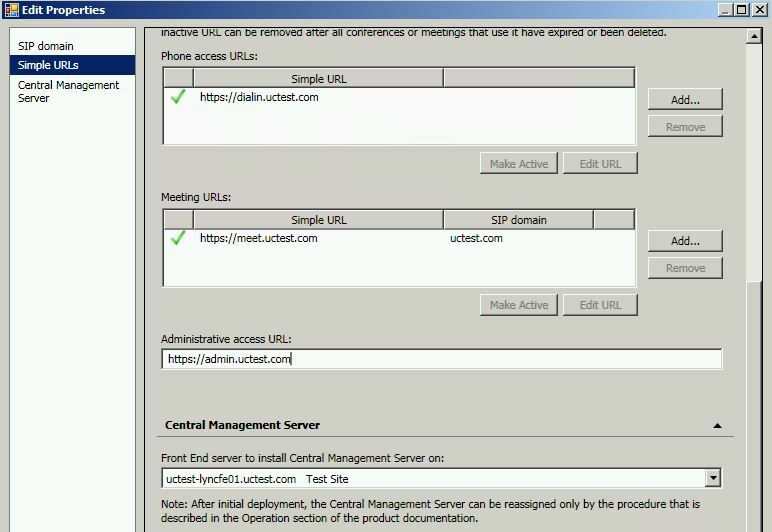 _sipfederationtls record is configured to allow partners to discover Lync server platform and get connected via federation. This method is called open Federation. There are some organizations that doesn’t like this method. 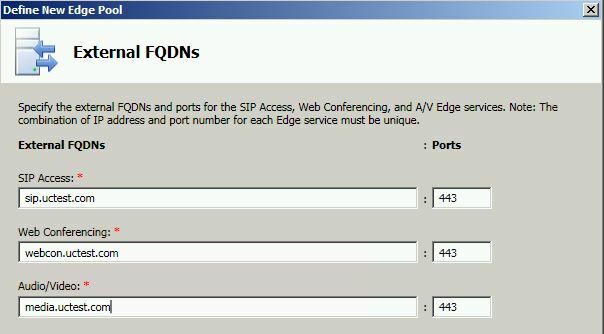 in that case, allowed domain and access edge server record need to be configured in Lync Server control panel to allow federation with that domain. Check http://technet.microsoft.com/en-us/library/gg398835.aspx to get an idea of the Hardware requirement for Edge Server. Check http://technet.microsoft.com/en-us/library/gg412883.aspx to understand the OS and additional software requirement. 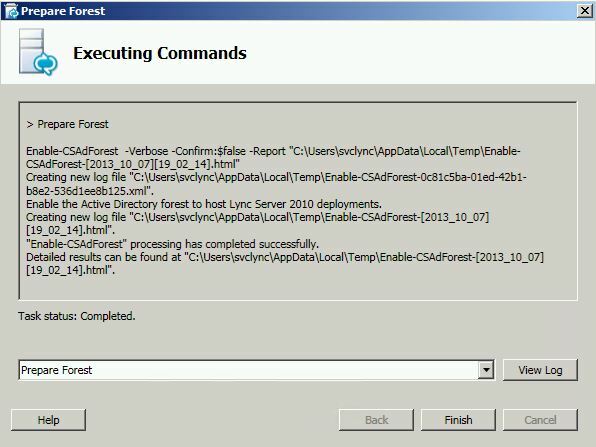 Select to enable Federation on port 5061 and leave the rest of the options as unchecked. 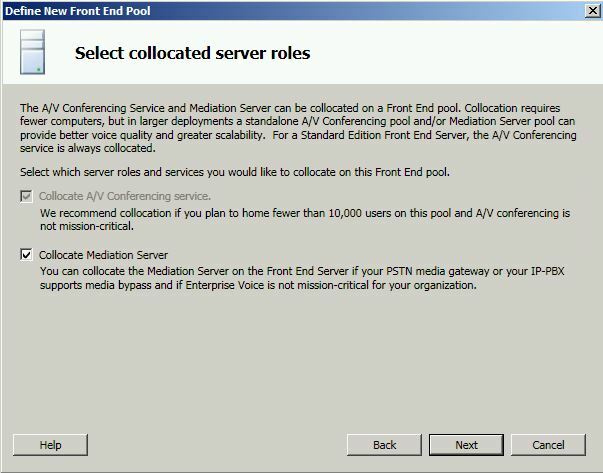 Configure the public FQDN records for SIP, Web Conferencing and A/V. leave the default port configuration as it is. 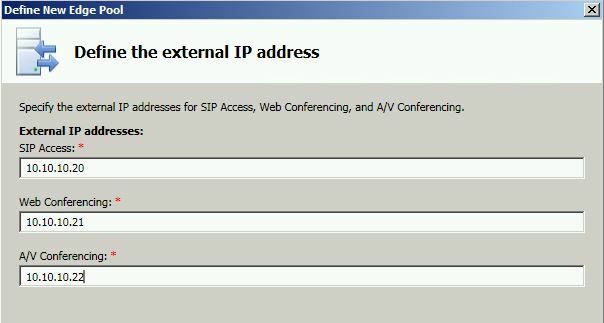 Configure External IP addresses. these are the IP addresses that configured in the external interface. this can be natted IP addresses from Firewall. 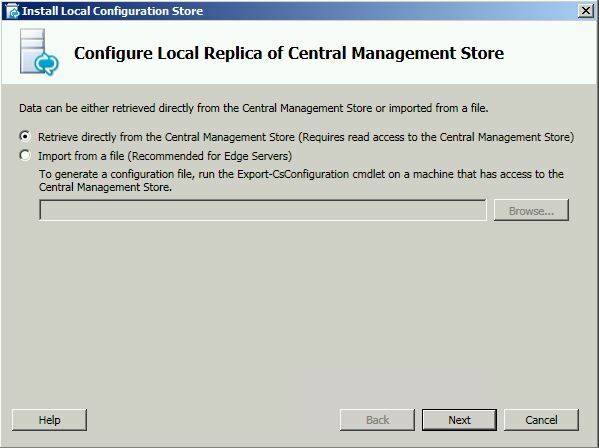 Since the Edge server is not joined to the domain, it cannot retrieve the Central Management Store automatically. 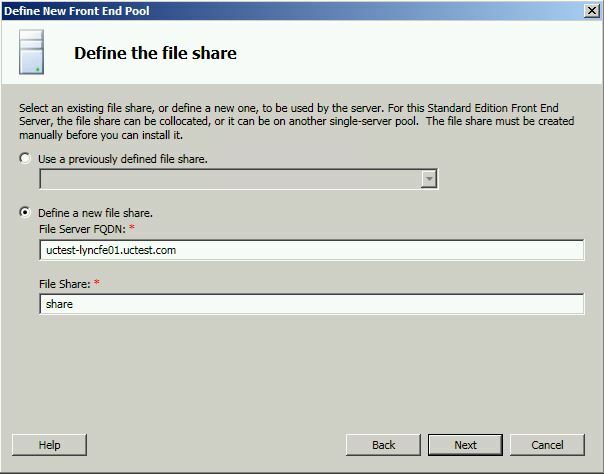 Export the Configuration store from the Front End server as shown below. Complete the step. All checks looks green and ready to move ahead. Specify a friendly name and Mark the certificate as Exportable. notice the SAN records. it’s normal that media.domain.com record doesn’t include as a SAN record. 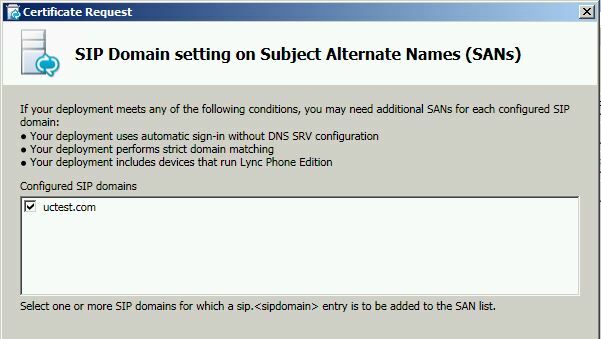 Select the SIP domain and save the request as a local file. 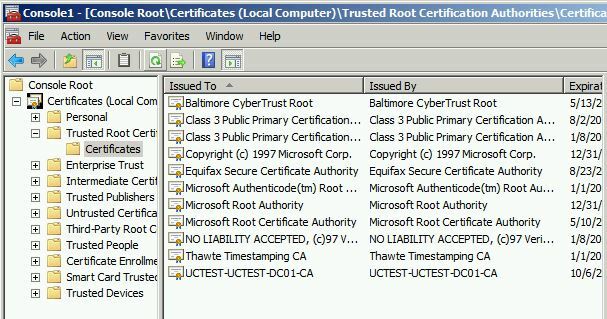 Make sure to import the Internal Root CA’s self sign certificate in to the Trusted Root Certification Authorities container. else the communication between the Edge server and the Lync Server will fail. 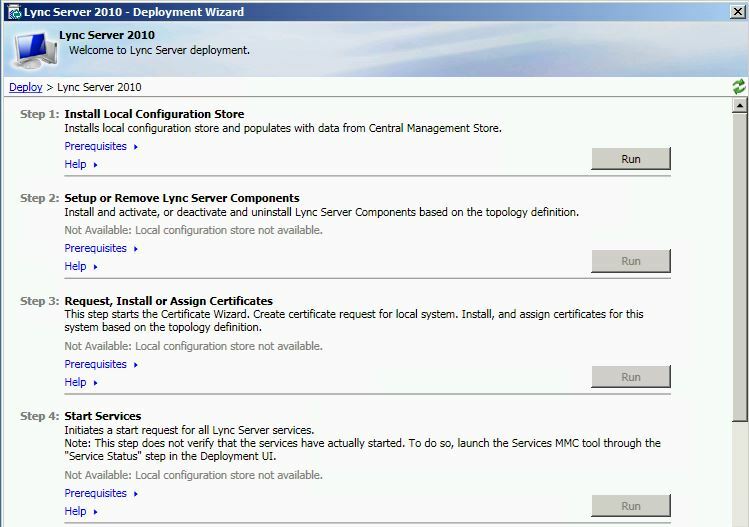 Now, start the services and check on Windows services whether all the Lync Server related services are started. 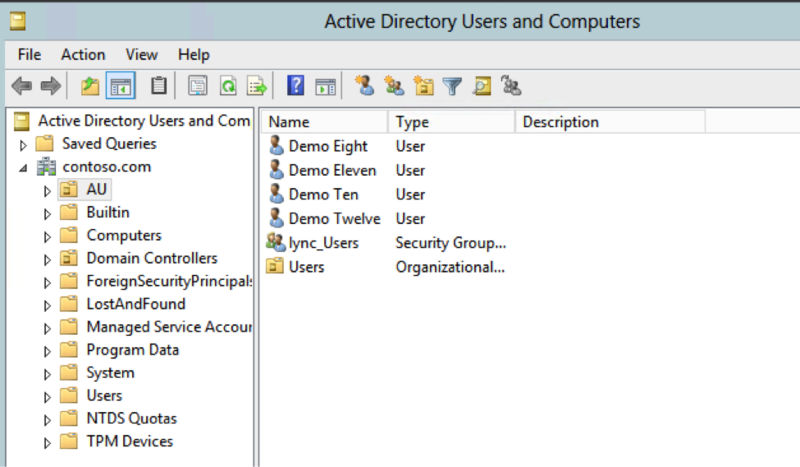 Enable External user access from the lync Server control panel External Access policy. Now clients should be able to login from the internet. 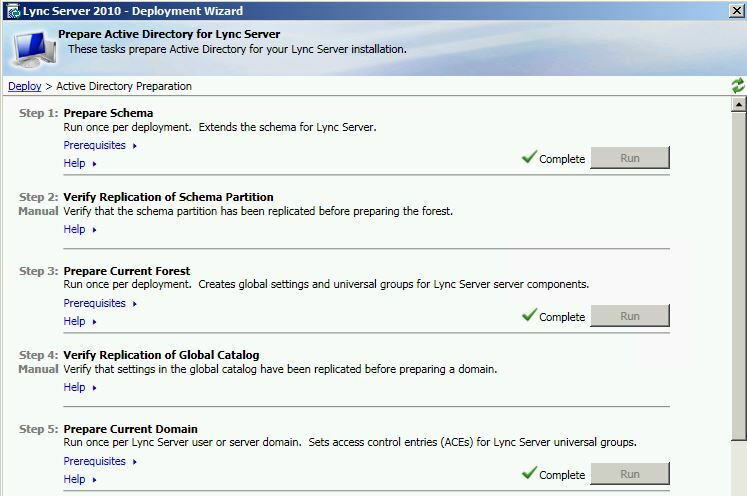 Microsoft Lync Server 2010 came in to UC domain while ago and it’s here to stay. 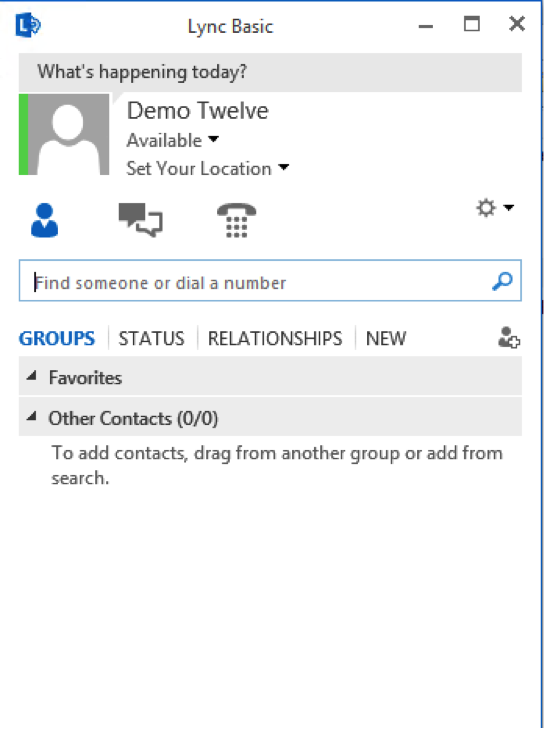 Lync Server platform is far better than it’s predecessor Office Communicator 2007\R2 which including interoperability with various IPPBX platforms and VOIP Gateways. 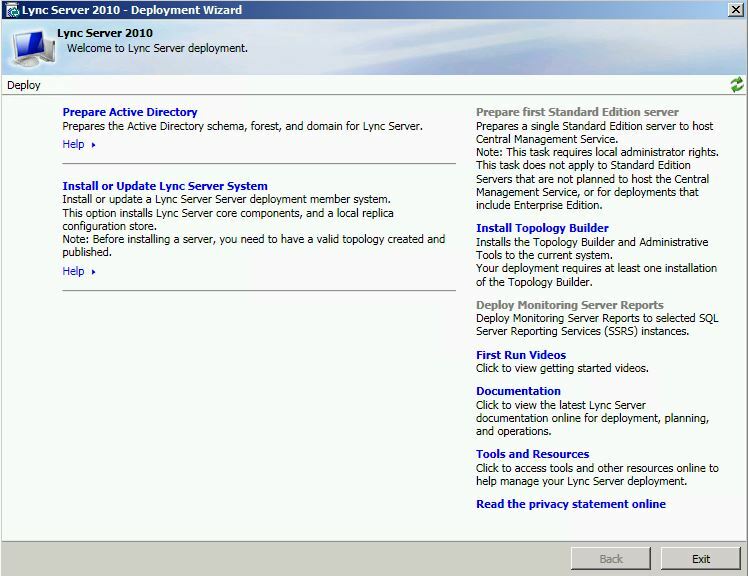 One of the great features that came up with Lync Server 2010 is the SBA (Survivable Branch Appliance) and SBS (Survivable Branch Server) which add the surviveability to small branch offices when the connectivity to the central server is offline. I will cover this component in different post. and the licensing changes introduced with the new platform makes it more affordable for the SMB market and given the ability to compete with high end IPPBX s such as CISCO Call Manager and AVAYA Platforms. 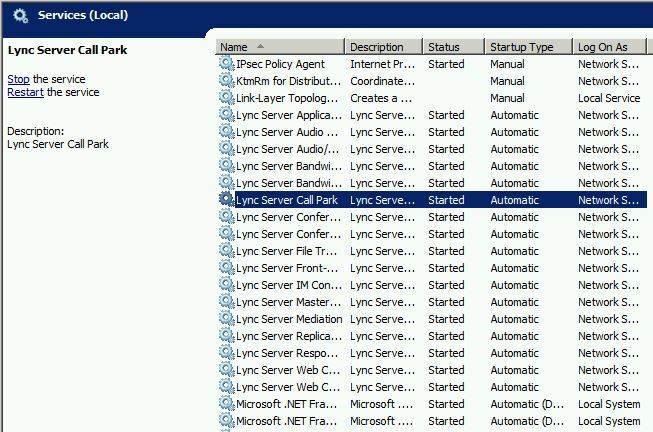 This article describe how to deploy Microsoft lync Server 2010 from the scratch to a successful client log in. Let’s devide the whole deployment process in to 3 steps. Before getting in to deployment, it’s impotent to check the health of all the domain controllers within the domain. It’s a must that Domain controllers replication are healthy and no errors in the process. If there’s any problem found, those problems need to be fixed before the deployment. 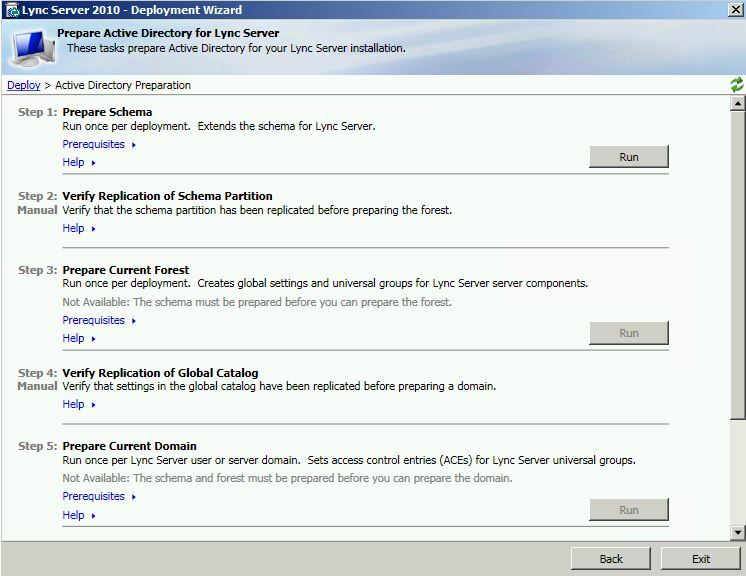 Also the domain and forest functional levels of the domain controller should be at least Server 2003. 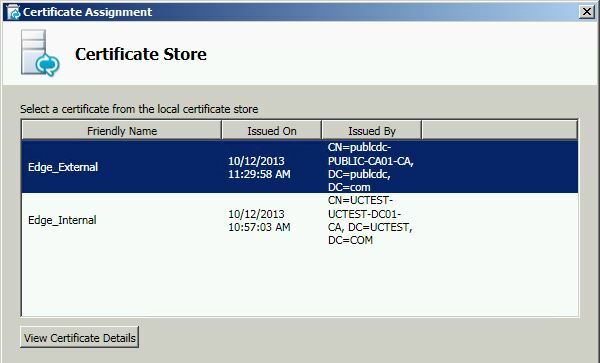 Another important part of this deployment is the Enterprise Root Certification Authority Server. 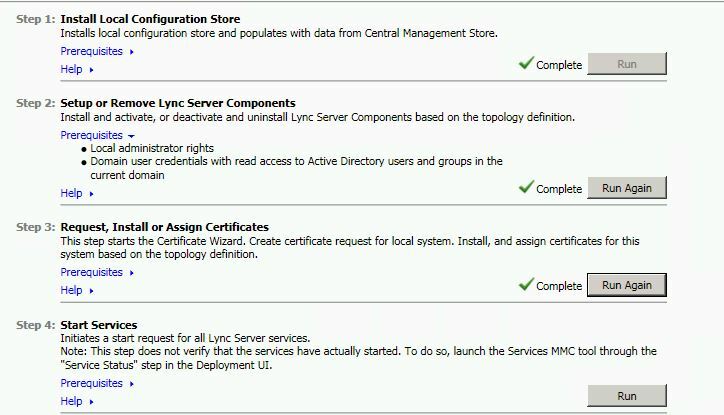 This CA will provide certificates to Lync Server role services as all communication between server roles are encrypted. check http://technet.microsoft.com/en-us/library/gg412986.aspx for detailed information regarding the infrastructure requirement. 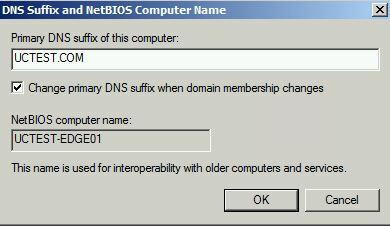 when ready, create 4 new DNS A records as shown below against the IP address of the Lync Server Front End Server. As a Best Practice, it’s always good to use a Service Account to deploy the application. In this scenario, i’ll use a user account called “SvcLync”. 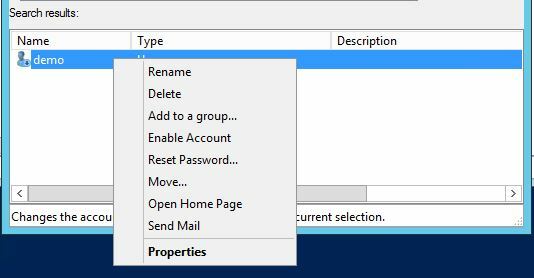 It’s a must that this user account has to be in Domain Admin, Schema Admin and Enterprise Admin security groups. 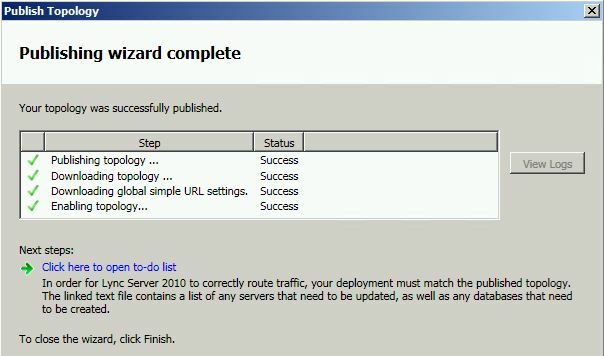 The Server OS that i used for this deployment is Windows Server 2008 R2 X64 with SP1. Keep in mind that Lync Server only support x64 Operating Systems only. It’s recommended the server to be patched to the latest patch that available along side with the Service Pack. You can find the detailed hardware requirement in http://technet.microsoft.com/en-us/library/gg398835.aspx. 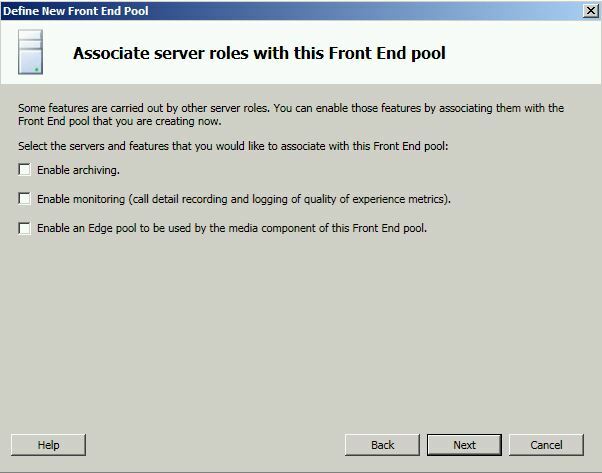 Login to the server using the Service Account and install Prerequisites to the Front End server. Run the below command in Powershell as the Administrator. 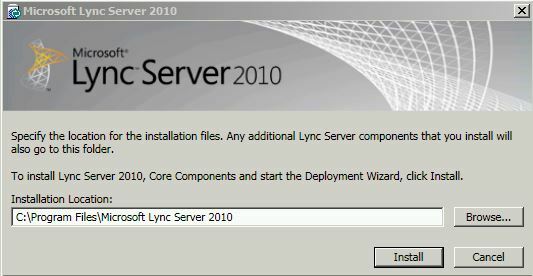 Now load the Lync Server media and run the installation file. Select to Install it prompted to install VC++. 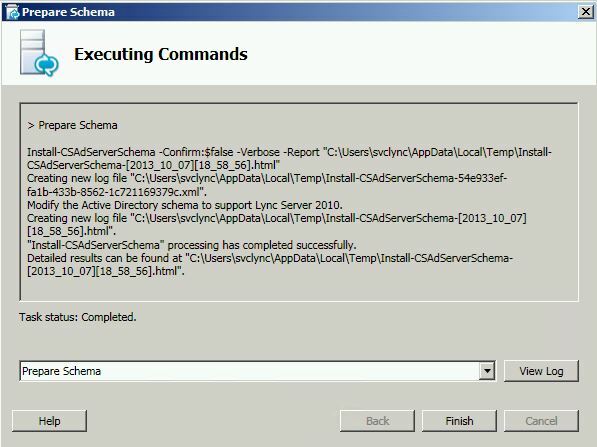 Schema Prep has completed Successfully. Proceed with the Preparation and finish the step. 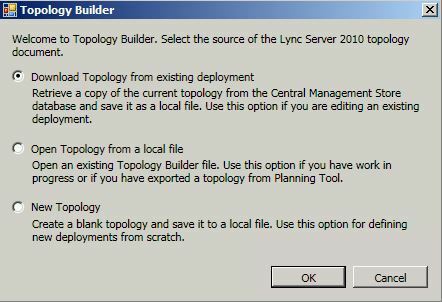 Now go back and install the Topology Builder. Unlike OCS, Topology builder is the centralized tool that used in Lync server deployment to specify server roles and FQDNS for the rest of the deployment. 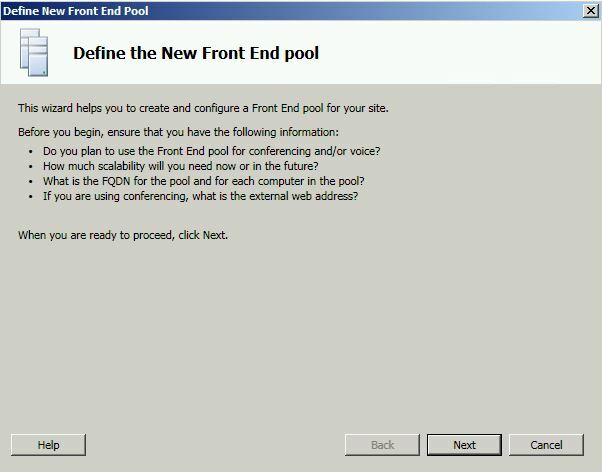 Now to define the Front End server pool. 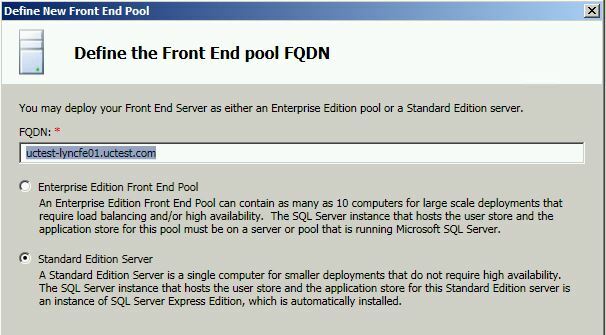 Define the FQDN of the Front End server and select to deploy the Standard Edition Server. Make sure that you get the above FQDN right. 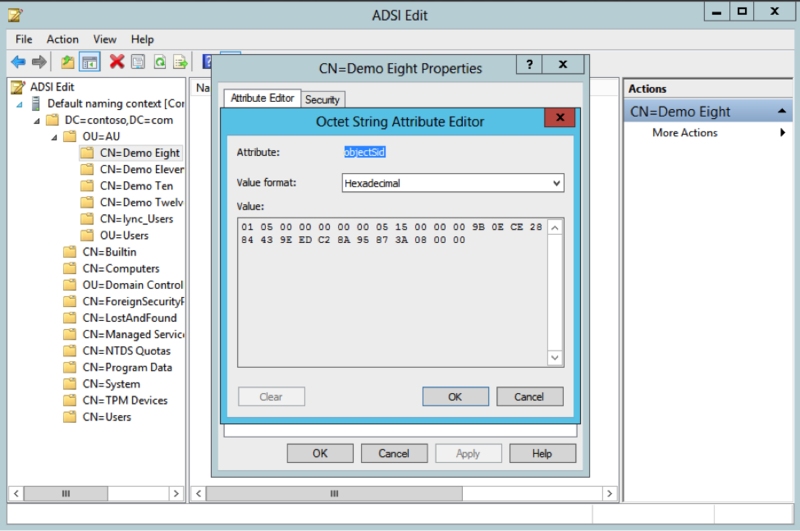 If you get this one wrong, you’ll be end up cleaning AD objects using ADSIEDIT. Now define the File Share store. This is the share folder that I created while ago. this share folder will host Address Book files, UC Phone Updates and meeting contents. 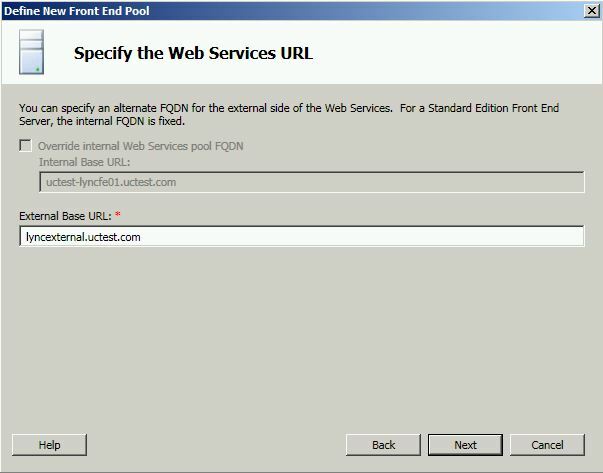 Configure the External Web Services URL. 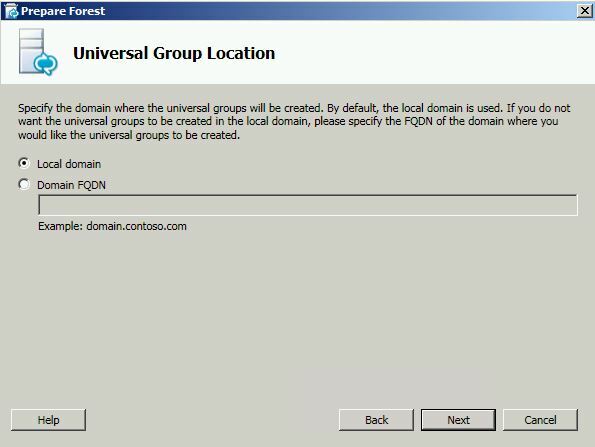 There have to be an A record created in Public DNS for this host name and This URL need to be published in TMG and reverse proxy in to Front End server. 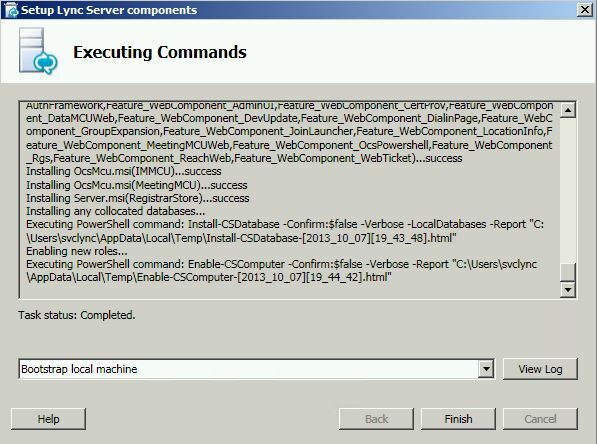 Step 1, Install the Local configuration Store. before getting in to this, the service account need to be added in to CSAdministrator and RTCUniversalServerAdmins security groups. if not, this step will be likely to fail. once ready, run the step. select to retrieve the CMS directly. Now to Step 2. 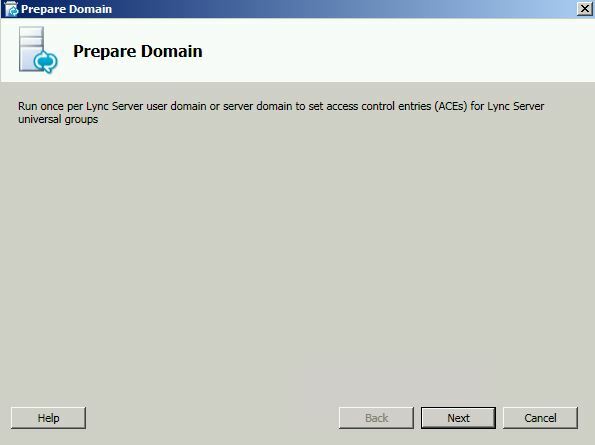 Setup or Remove Lync Server Components. 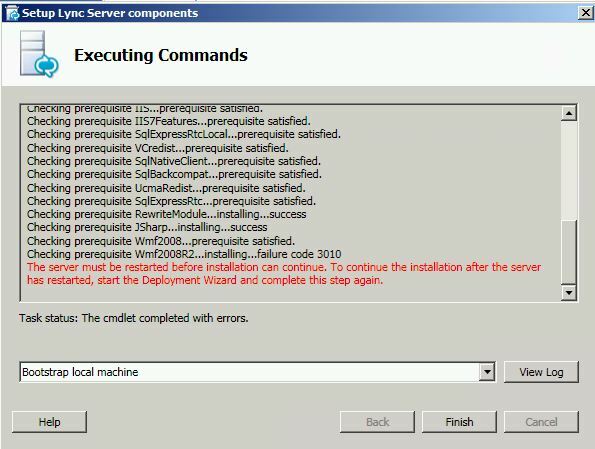 Run the step and reboot the server when prompted. Run the step after rebooting the server. The step will complete successfully. 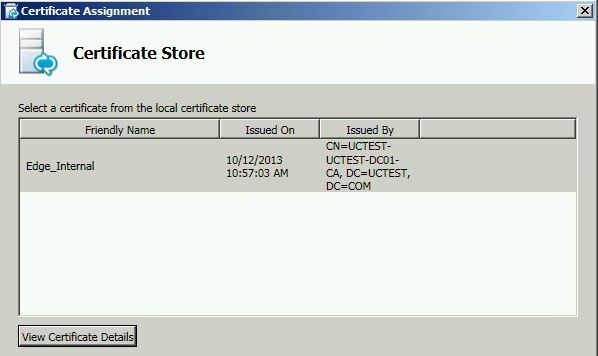 Step 3. request and install certificate. 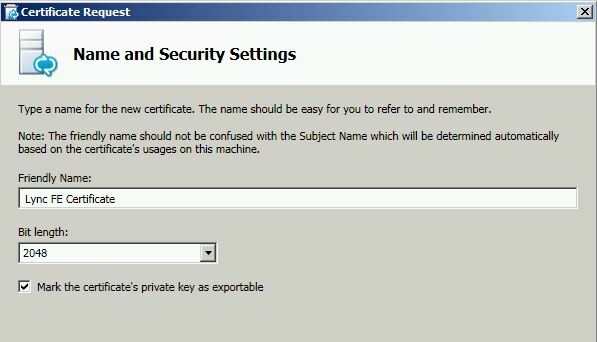 select the default certificate and request. Once requested, assign the certificate in to Front End services. All good and green. Login to the client using the user credentials. Clint signed in successfully.